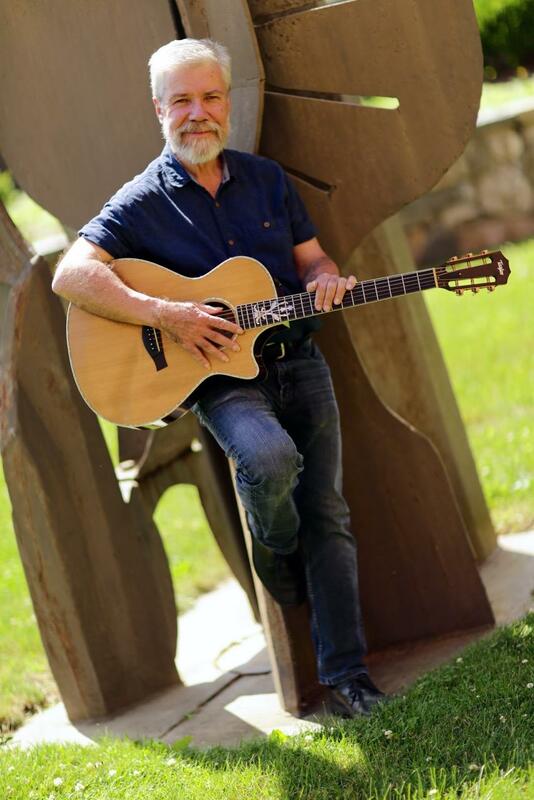 Multiple Emmy award winning composer, Grammy award winning producer, and noted guitarist Brian Keane has scored literally hundreds of films and television shows, and produced over 150 albums, mostly from his studio in the woods of Connecticut. His music has been hailed critically as "indelible and breathtaking" by the Los Angeles Times, "piercingly beautiful" by The New York Times and "masterful" by Newsweek, and he has been called a "musician's musician" by Downbeat, a "composer's composer" by The Hollywood Reporter, and “one of the most impressive musicians of the decade” by the editor of Billboard magazine. Among Brian’s many enduring credits are “New York” the epic, multiple Emmy winning Burns documentary series that is among the biggest selling documentaries of all time, “Long Journey Home” which won a Grammy for it’s soundtrack in collaboration with The Chieftains, Van Morrison, Elvis Costello, Sinead O’Connor, and others, the classic “Winter’s Solstice” record series for Windham Hill which he produced, and his ground breaking ethnic recordings with middle eastern musician Omar Faruk Tekbilek, Irish musician Joanie Madden, and many others. In a career that spans over four decades, Brian has been widely recognized as the foremost composer in documentary film. 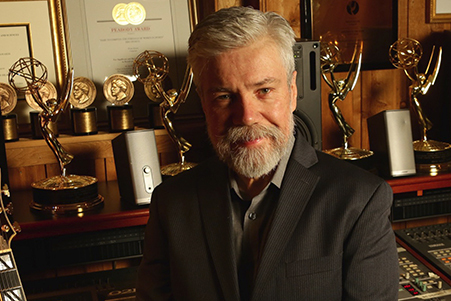 Brian started scoring the music to documentaries in 1980 when almost no documentaries were scored by a composer, and there were only a handful of television networks that even aired them. Over the years Brian Keane's work has been enormously influential as a pioneer in that genre, having scored the music to a huge number of Emmy, Peabody, and Oscar winning documentaries, for a who’s who of award winning documentary film makers including Ric Burns, Henry Hampton, Thom Lennon, Bill Moyers, Sheila Nevins, Judy Crichton, Susan Lacy, David Fanning, Ross Greenburg, Mark Shapiro and John Dahl among many, many others. Born January 18th 1953 in Philadelphia to a musical family, Brian's mother Winifred Keane is an avant garde composer, and his father, George Keane, a gifted Irish tenor. Brian's brother Geoffrey and sister Sheila are musical as well. Brian played his first professional job as a rock n’ roll musician when he was still a sixth grader in Westport Connecticut where he grew up. He studied with educators George Weigle, Bob Genualdi, John Hanulik, and privately with the late John Mehegan, a Julliard professor who was a pioneer in jazz and music theory,and then with Czech composer Karel Husa at both Ithaca College, and Cornell. 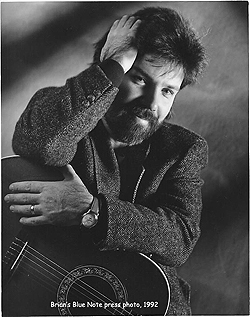 Brian began his professional career as a guitarist playing in clubs and as a sideman, rising to become a world class jazz guitarist, performing with many of the Jazz greats of the 1970's and 1980's, including touring worldwide and recording for several years in a guitar duo with Larry Coryell, and eventually becoming a Blue Note recording artist. 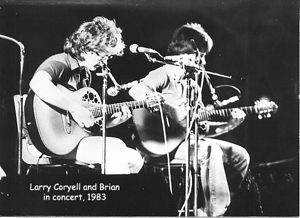 In the mid 1970's, while primarily working as a guitarist, Brian began producing recordings at his childhood friend Gary Scovil's recording studio in Norwalk Connecticut. It was while working there in the late 1970's that he met husband and wife directors Jim Burroughs and Suzanne Bauman. In 1981 he would score his first documentary "A Cuban Odyssey" for them, which was nominated for an Academy Award. A few years later Brian scored the film Sulleyman the Magnificent, which was released as a soundtrack CD on German Publisher, Eckart Rahn's Celestial Harmonies label, and a series of recordings followed and led to Brian becoming a leading producer of ethnic music and new age recordings for a variety of major record labels. He would go on to become a Grammy-winning record producer, and one of the most successful producers of the nineties, producing more than three dozen Billboard charting recordings. In 1988 Keane scored “Chimps: So like us” the Emmy winning and Academy Award nominated documentary that put Jane Goodall’s work in the public eye, for Oscar winning directors Kirk Simon and Karen Goodman. Their offices happened to be one floor down from acclaimed film maker Ric Burns, who, after producing the classic “Civil War” documentary with his brother Ken, went on to work with Brian on the 1990 award winning documentary “Coney Island”. 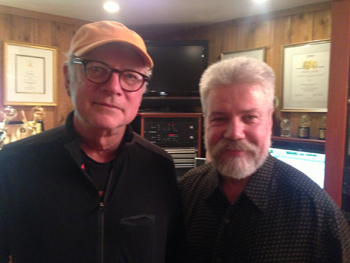 Brian has scored every one of Ric Burns' award winning films since, spanning over two decades. 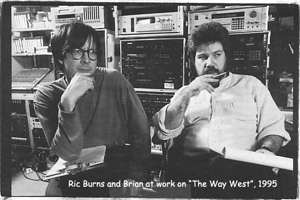 In the early 1990’s, Brian worked with ABC news in developing music for one of the early news documentary series “Turning Point”, and later for "Hopkins 24/7" and "NYPD 24/7". Keane helped pioneer a path for the musical approach to news documentaries which is still influential today. Keane’s other documentary credits include several films for Oscar winning director Thomas Lennon including the Peabody and Emmy winning “The Battle over Citizen Kane” and the Academy Award winning film with co-director Ruby Yang “Blood of the Yingzhou District”, the multiple award winning films, “The Donner Party”, “The Way West”, "Ansel Adams", and “Andy Warhol”, and his work on the multiple award winning PBS series “American Experience”, “American Masters”, “Frontline”, and “Nova”. 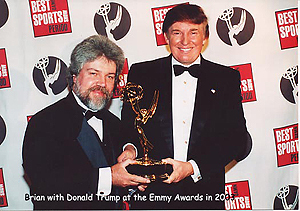 Brian has also been a major influence as a multiple award winning composer in the sports world, having scored such classic documentaries as “Do You Believe in Miracles”, “Curse of the Bambino”, “Nine Innings From Ground Zero”, and with his influential work scoring multiple Emmy and Peabody award winning television specials and series like HBO’s “Sports of the 20th Century”, “Inside the NFL”, “Legendary Nights”, ESPN’s “30 for 30” and his Emmy winning work for CBS, working with multiple award winning sports documentarians like George Roy, Fritz Mitchell, Neil Leifer, Johnson McKelvey, and Joe Lavine. In his career, Brian has also scored several feature films and dramatic television shows including "Stephen King's Night Flier" for New Line Cinema, the award winning "General Motors Playwright's Theatre" series which ran for four years on A&E, and the critically acclaimed "Vernon Johns Story: the Road to Freedom" starring James Earl Jones, among many others. His music has been used in several major feature films including "Spy Games", "The Descendants", and "Free Willy", and his music has been performed by symphony orchestras throughout the world including the London Symphony, the Istanbul State Symphony Orchestra, the Boston Pops Orchestra, and the Colorado Symphony. In 2012, Academy Award-winning director Barry Levinson and Emmy-winning producer Tom Fontana hired Brian to score the dramatic television series "Copper", which became the highest rated show in the history of BBC America. Brian was nominated for a Prime Time Emmy award for "Outstanding Original Main Title Theme Music" to "Copper". In all, Brian Keane is a Grammy winning producer with over three dozen Billboard charting albums, a four time Emmy winner among 20 nominations for music composition, he has scored hundreds of award winning documentaries and films (18 winning Emmys for best documentary or television series among 68 nominations), 9 Peabody winning films, and five Oscar nominated films including a 2006 Academy Award winning documentary. 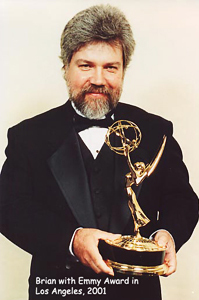 In 2001, Brian became the first and only composer in the history of the Emmys to sweep all the nominations for music in a single year. In 2014, Brian developed a search system for his vast musical catalog of nearly 8,000 compositions, spanning his 40-plus year career. Because Brian was a pioneer in documentary film scoring, he had owned most of the music he composed, and by the time the industry realized that there was any long-term value, Brian was established as the top documentary composer in the entertainment industry. Because of this, Brian continued to lease most of his scores, and own them, throughout his career. After developing this library into a searchable on-line database for film and television professionals in 2014, along with employees Jonas Friedman and Jeff Frez-Albrecht, the library became active in 2015. 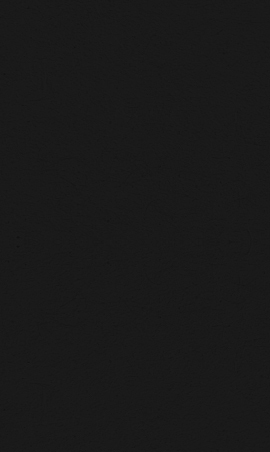 Brian Keane’s on-line searchable music library has been growing rapidly since its inception among high end television and film editors, and network film producers alike. With the exception of the two years spent scoring "Copper", Brian "semi-retired" in 2008. However, creating music is not exactly like a normal job. Brian has continued to be active, composing scores to various projects, giving lectures, mentoring other composers (some of whom have become quite successful in their own right), and, in 2017, following the death of his one-time musical collaborator Larry Coryell, played some tribute concerts, which led to Brian performing occasionally again. 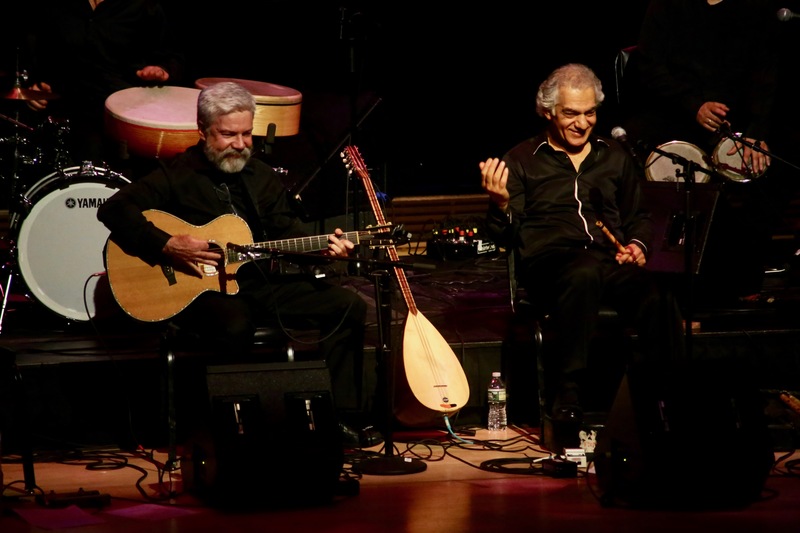 In 2018, Brian sold out Carnegie Hall in a concert with long-time collaborator and Middle-Eastern master musician Omar Faruk Tekbilek. With financial success, Brian has had more time for artistic musical projects, not necessarily commercially-inspired. Brian completed his 1984 symphony electronically in 2017 "A Speck In Time", and has helped out musician friends with their projects as well. Brian has also managed to find more personal time in his "semi-retirement" period. Brian Keane's studio is located in his first home in Monroe, Connecticut which he bought in 1985, and converted into a recording studio in 1993. Brian was married to Susan St. Louis Keane in 1987, who had a son, Chris Laskowski, born in 1971. 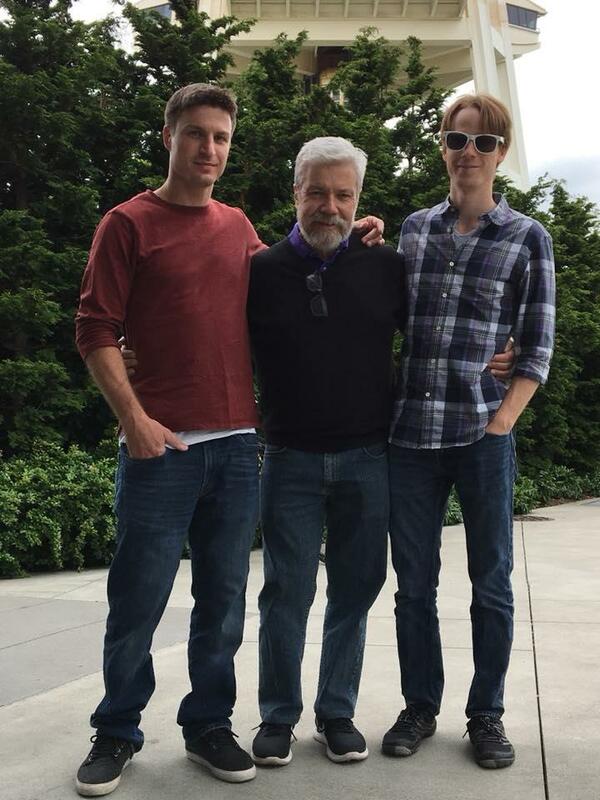 Brian and Susan had their first son Wylder Keane in 1987, and a second son, Dylan Keane, was born in 1988. They lived in the studio at first (garnering its name: "Little Big Feet Studios"), after which the family moved to Newtown in 1994, where they lived until Brian and Susan were amicably divorced in 2010. Brian had commuted to the studio from Newtown to work during this period, but after his divorce moved back into the studio in Monroe, which he has shared with actress, theatre producer, and former classmate Bonnie Housner Erickson since 2015. 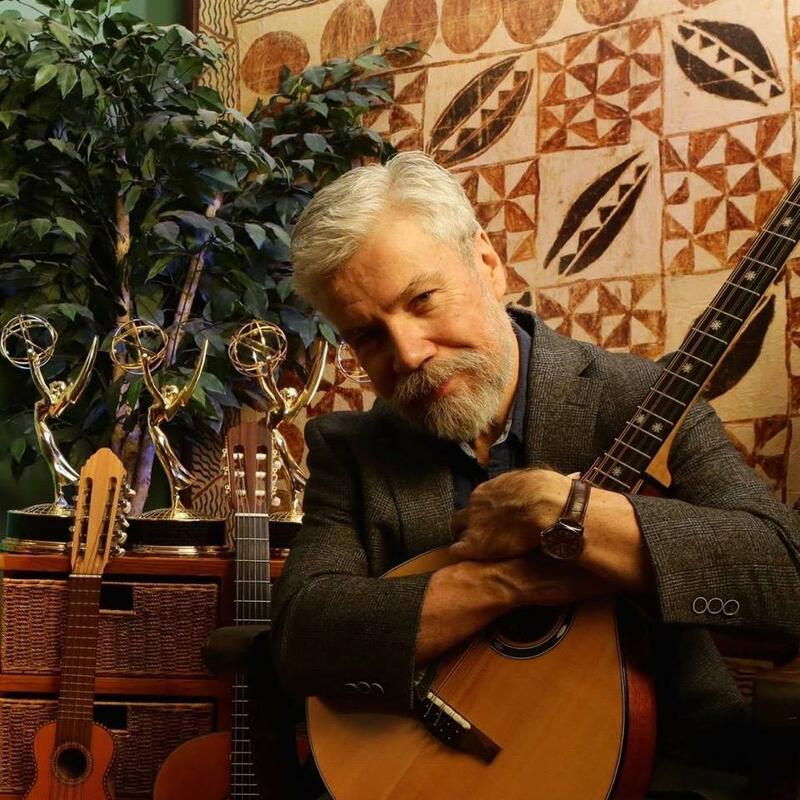 Although Brian toured throughout the world in his early career as a guitarist, and used outside studios until 1993 and after, most of Brian's composing career has taken place at his studio in the woods of Connecticut, near friends that he has known for over sixty years in some cases. In an era where most television and film production took place in New York or Los Angeles, Brian was able to develop his substantial career simply through the notoriety and emotional power of his music.